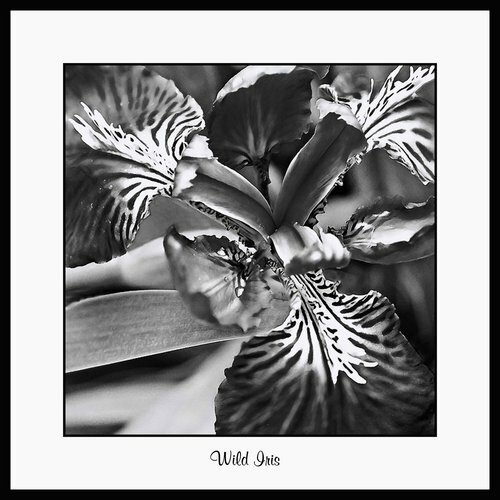 'Wild Iris 3' by Sherryl Johnston - DPC Prints! This is one of my wild irises growing in my garden. I love the detail, and the black and white charcoal look it has, as it almost looks like a pastle charcoal drawing.